Bring three quarts filtered water to boil. Add sugar and simmer until dissolved. 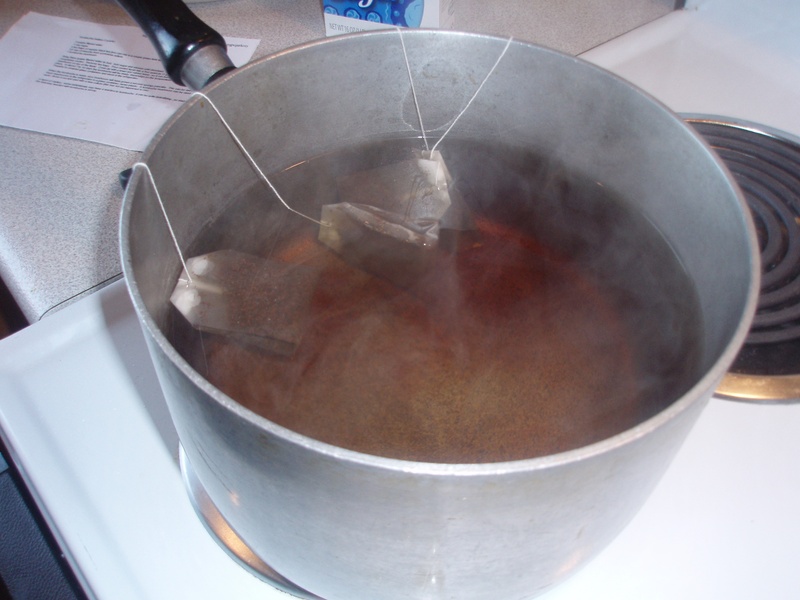 Remove from heat, add the tea bags and allow the tea to steep until water has completely cooled. Remove tea bags. 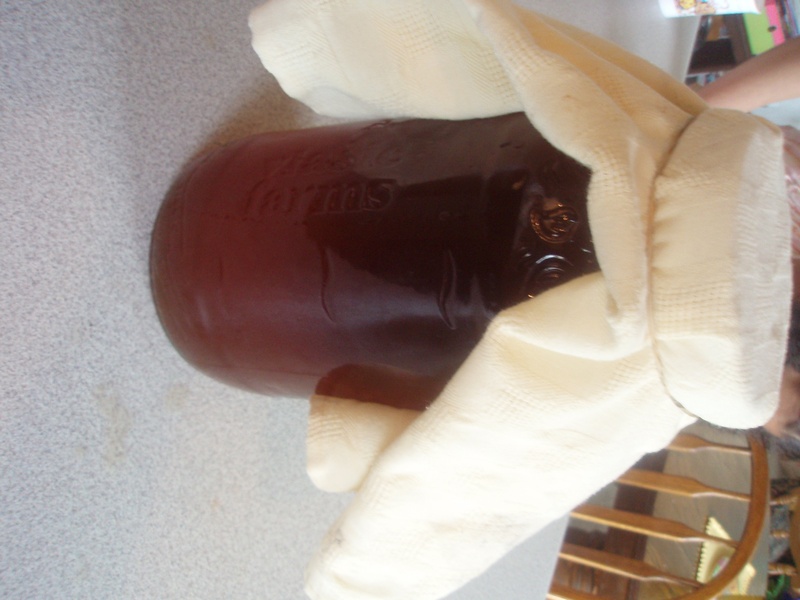 Pour cooled liquid into a four quart jar (1 gallon–GLASS). and add 1/2 cupkombucha from previous batch. Place the mushroom on top of the liquid. Cover jar with a towel and rubber band…so it can breath although not allow dust or other in. Wrap with a towel or place in a dark warm place. 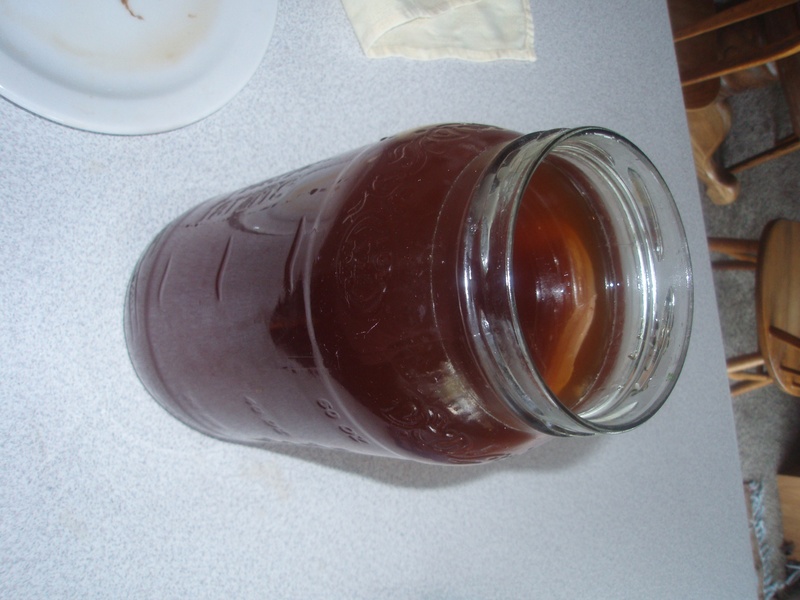 In about 7 to 10 days the kombucha will be ready, depending on the temperature. It should be rather sour and possibly fizzy, with no taste of tea remaining. Transfer to covered glass containers and store in the refrigerator. 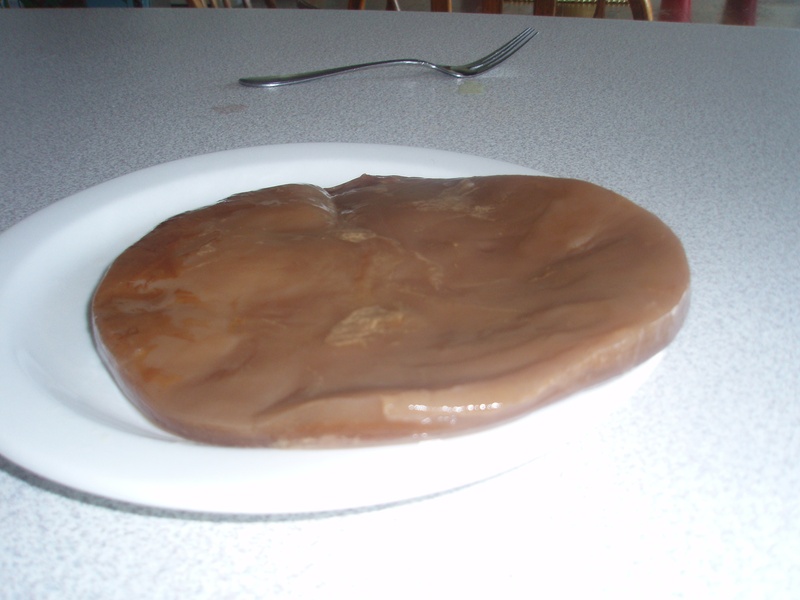 When the kombucha is ready, your mushroom will have grown a second spongy pancake. This can be used to make other batches or given away to friends. Store fresh mushrooms in the refrigerator in a glass container, never plastic.